After a performance at the Emirates Stadium which can be considered imperious, resilient, and magnificent, Chelsea follow on from their thrashing of Arsenal this week with a trip north to Ewood Park, where Blackburn Rovers – who are anything but those first three adjectives – await in the quarter-finals of the Carling Cup. It may be to some fans’ chagrin that our league campaign is again disrupted, but everybody’s second favourite domestic cup tournament (and that’s being generous) has been kind to us in recent years. Since the year 2000, we have reached the quarter-finals stage on no less than seven times, progressed to the last four on four separate occasions, and won it twice. 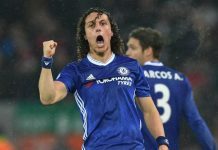 As Carlo Ancelotti continues the Blues’ assault on all trophies possible, the Carling Cup provides an opportunity for realistic silverware, and victory will further endear the Italian ‘Mister’ to the Stamford Bridge faithful. With games coming thick and fast from now until the turn of the New Year, squad rotation becomes less of a luxury and more of a necessity, and thankfully for Ancelotti we know that when he shows his hand, it is implausibly strong. With only José Bosingwa definitely out of action until January, there is a full squad to choose from for the meeting with Blackburn, and we can expect a few of the bigger names in the ranks to find themselves rested to make way for the supporting cast, particularly with a potentially tricky away game at Manchester City on Saturday evening. Following a dazzling cameo against Wolverhampton Wanderers recently, many Chelsea fans are calling for the inclusion of Gael Kakuta in this Carling Cup tie, although a winter’s evening up north against the likes of Christopher Samba and Ryan Nelsen may not be the ideal opportunity to blood the 5ft 7in tricky winger. Indeed, it could see him destroyed a la Arjen Robben in 2005. Youngsters Jeffrey Bruma and Daniel Sturridge were given substitute appearances in the league win over Blackburn recently, and could again find themselves in contention this Wednesday. Sam Allardyce’s Rovers – perhaps not in the same state of post-weekend euphoria as us following what sounded like an excruciatingly boring goalless draw with Stoke City – will be keen to prove their mettle against Chelsea and consequently go as far as they can in the competition. 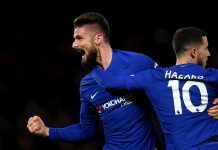 They will also be looking to avoid a repeat of the recent meeting between the two sides, where the Blues ran out 5-0 winners at the Bridge in late October. Between then and the draw with the Potters, Rovers have won three games and lost two, including a 5-2 victory over Peterborough in the last round of the Carling Cup which sealed their place in the last sixteen. Allardyce – shudderingly once considered a realistic candidate for the post of England manager – has only the two injury concerns, with playmaker David Dunn doubtful with a calf strain, and left-back Martin Olsson suffering with a virus. Franco di Santo is ruled out due to the terms and conditions of his loan agreement from Chelsea. The aforementioned 5-0 game a few weeks back was obviously the most recent meeting between the two sides, but Blackburn and Chelsea did lock horns in the Carling Cup at Ewood Park just three years ago too. Goals from Joe Cole and Salomon Kalou (no, really) sealed a 2-0 win for the away side in the third round on a freezing October evening. Chelsea also edged past Rovers on their way to League Cup success in the 1997/98 season, winning on penalties again in the third round after a 1-1 draw which also featured a red card for Gianluca Vialli in extra-time. You have to go back a hefty 25 years to find the last occasion where Blackburn were victorious in a cup competition against Chelsea, as a narrow 1-0 win in an FA Cup game in 1983/84 saw Rovers take the spoils in Lancashire although – and thanks to the ultimate historical artefact of the time ‘Chelsea Here Chelsea There’ for the following stat – after losing that game in January of the latter year, we went unbeaten for the rest of the season. This weekend in particular has seen the comparisons between Ancelotti and José Mourinho reach a defining point, with many fans believing that the Italian is well on his way to possibly eclipsing the feats of the Special One. It is worth remembering that the Carling Cup was Mourinho’s first Chelsea silverware, and the players have expressed a desire to reclaim the trophy as it provides the earliest chance for serious medal-winning in a season – Community Shield apart. Blackburn should be dispatched – though it won’t be easy – and the road to Wembley will get a little shorter after a detour to Ewood Park.